Golf Cart Batteries Not Charging? Here's Some Help. 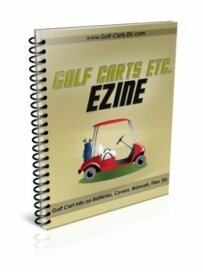 Golf cart batteries not charging? That indeed was what happened to my Club Car batteries. Battery Charger or the Batteries? 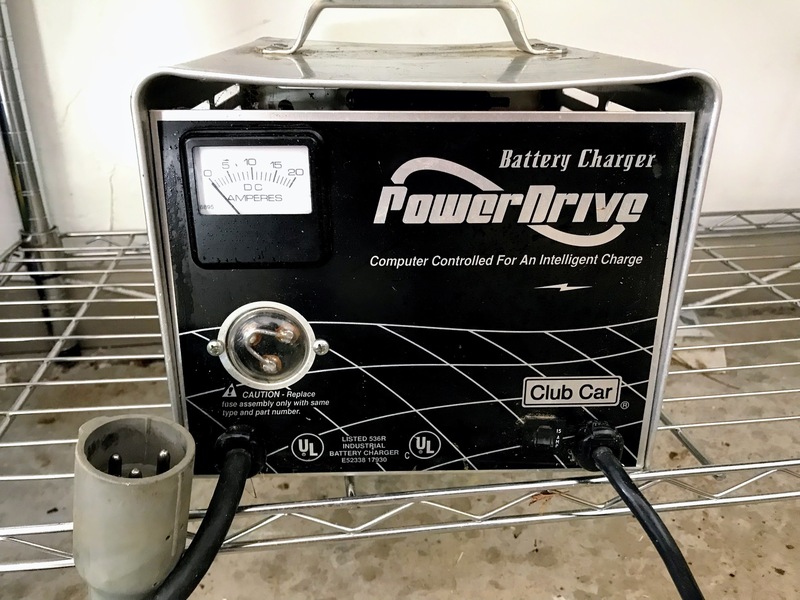 After owning my 1985 electric Club Car for 20 years, for the first time the golf cart battery charger would not click on. There are several different reasons for this, and it's not normally the charger. But it was easy enough for me to drop the golf cart charger off at a golf cart repair shop on my way to work to have it tested. I thought I might as well rule it out since it was so old. 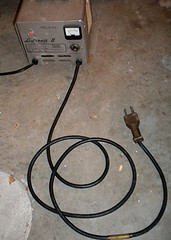 It tested that it worked intermittently and that the electric cord needed to be replaced. Even if the charger wasn't the problem, I was happy to get a new electric cord since the old one was showing signs of wear and tear. If I had put the new one in myself it would have cost me under $50, whereas it cost me $100 for the cord and labor to install it. Most often the problem is not the charger, but rather the batteries. If the batteries have sat for a lengthy period of time, the voltage is completely depleted or discharged. Chargers for deep cycle batteries need to detect some voltage to start charging again. Check the voltage of each battery with a voltmeter to see if there is a nominal charge. Batteries need to be continually charged - letting them sit for a long period of time can irreversibly damage your golf cart batteries. If the golf cart has been driven and used so that the batteries are completely depleted it may not have enough voltage to trigger the charger. 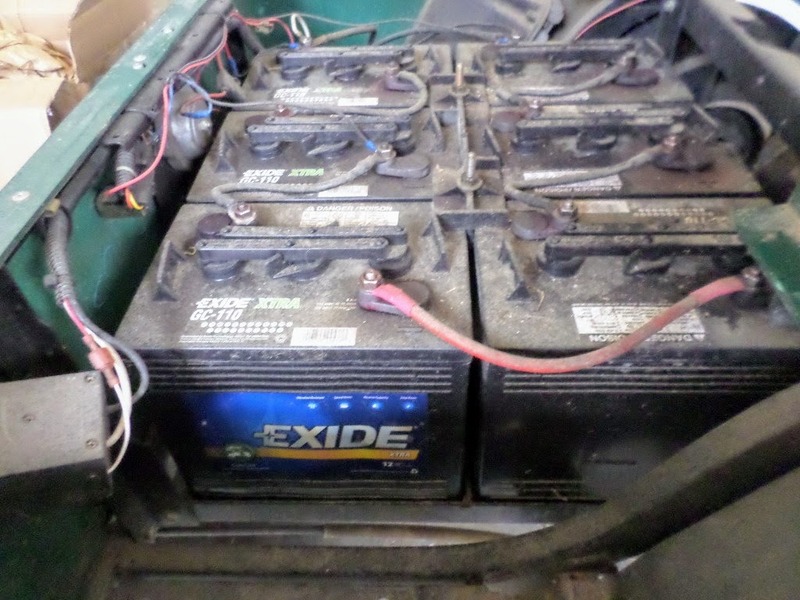 Driving a golf cart until the batteries die can shorten the life of deep cycle batteries and cause permanent damage. If the batteries are depleted of water. Check the battery cells to see if the plates are covered with water. There should be a marker showing the maximum level for adding water. Use only distilled water, not tap water. 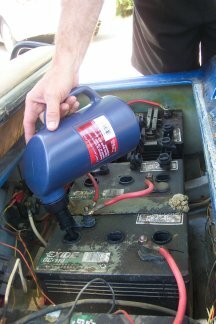 While it would certainly cost less to replace a golf cart charger, in most cases the problem is that the deep cycle batteries do not have enough voltage to get the charger going. Some dead batteries can be revived while in other cases the whole set of batteries will need to be replaced at a cost of several hundred dollars. 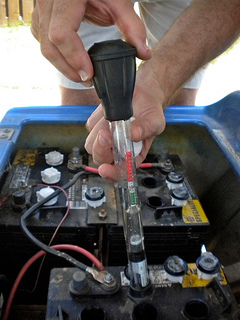 Battery hydrometers measure the specific gravity of the electrolyte solution in your golf cart batteries. The higher the specific gravity the higher the state of the charge of the batteries. 1. Do not let any of the battery acid drip from the hydrometer onto the the golf cart body. The battery acid will damage the it - so if you do make a couple of drips, wipe it off immediately. 5. Do not wear any metal jewelry nor have any metal objects, tools or wires that can cause sparks when "shorted' across a battery Proper pH levels need to be maintained for your batteries to be in good condition. The hydrometer measures the specific gravity of the electrolytes in your cart to determine your battery charge condition. According to the Club Car Service manual a fully charged battery should read between 1.250 and 1.280. Find out what condition your batteries are in - good, weak or replace - with this simple test.